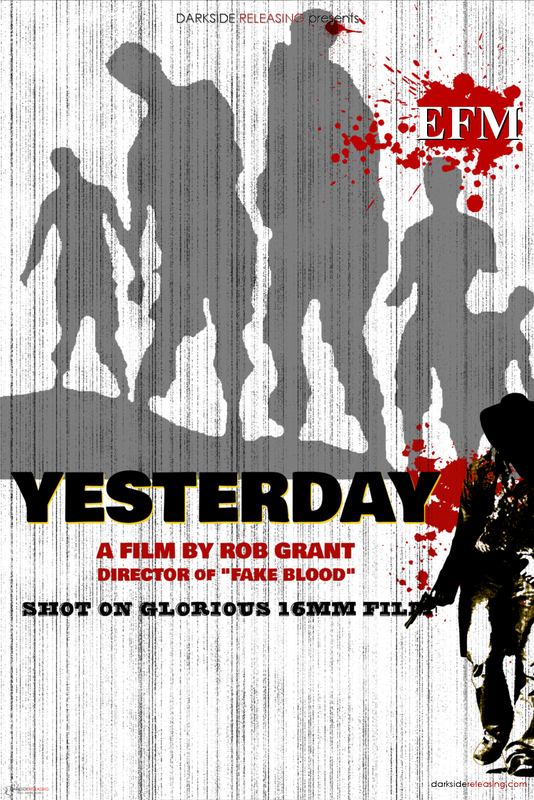 Yesterday follows the lives of six complete strangers in the middle of a zombie outbreak! As each person struggles to survive, their actions begin to have repercussions around the dying city, which culminates in a stand-off at the local grocery store. There, the remaining few decide to band together and flee to the wilderness. Once camp is built however, they find that the living dead are not their only danger as they begin to turn on one another in a struggle for power and control. Rob Grant, the director of the 2018 cult festival hit Fake Blood, shot Yesterday on 16mm film in 2009. This, his first horror feature, had also become a hit on the genre festival circuit, channelling the wild, over-the-top energy, gore, and cult film sensibilities of J.R. Bookwalter’s The Dead Next Door and Lief Jonker’s Darkness!